Although the Millennium Line doesn’t go to the border, this commuter appears to be on his way to an American Independence Day celebration. 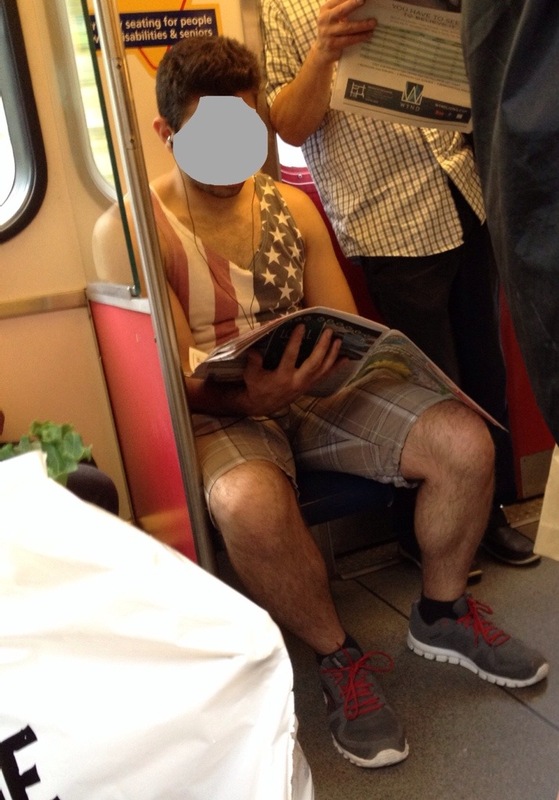 Fireworks are sure to go off if this gentleman and his festive get-up get across the line. And with that, we wish a happy Fourth of July to our fellow commuters south of the 49th parallel!